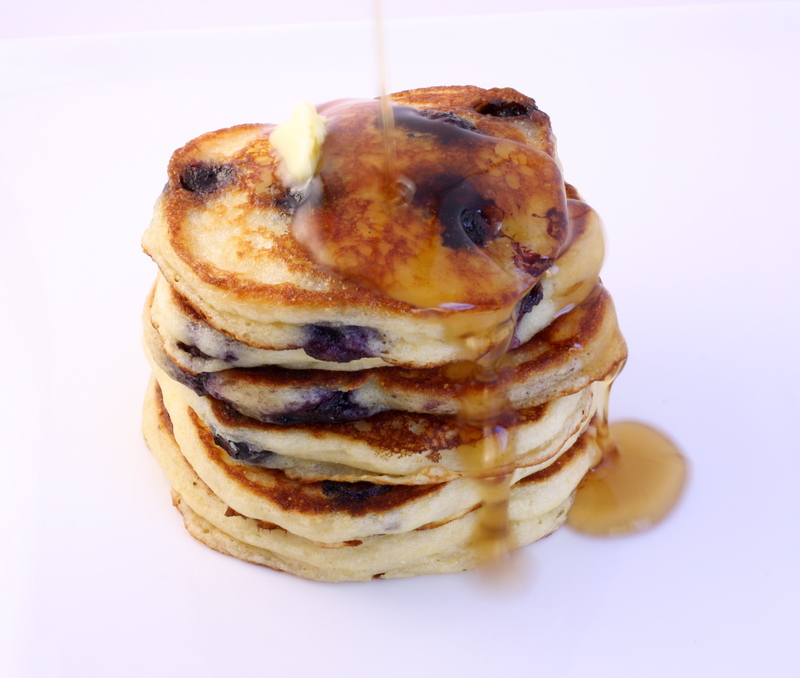 These Blueberry Buttermilk Gluten Free Pancakes are so delicious and super moist, the result is combination of textures and flavours that sing in your mouth. 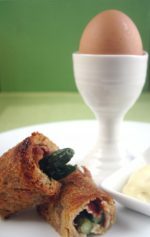 They are light and fluffy on the inside and the buttermilk infuses a wonderful dimension to the recipe. Because of the cornmeal, it adds a little extra crunch for a wonderful mouthfeel. Hence, another reason to sing on Sunday mornings. Leslie’s Top Tip: Firstly, buttermilk is a great ingredient as it adds a tangy zest to recipes. If you don’t have buttermilk, you can use plain milk with a squeeze of lemon juice. Just let sit for about 10 minutes to allow the lemon and milk cultures to do their magic. In addition, you can also use milk with about a 1/4 cup natural yogurt if you are in a pinch. Firstly, combine first 6 ingredients in large bowl and whisk to blend. Then, In another bowl, mix together buttermilk, yogurt, and egg. Add to dry ingredients and stir until just blended but still lumpy. Finally, gently mix in 1 1/2 tablespoons melted butter and blueberries. Heat griddle or large nonstick skillet over medium heat. Spread thin coating of butter over griddle and let melt. Working in batches, drop batter by heaping tablespoons full onto griddle, spacing apart. Cook until brown on bottom and bubbles form on top, about 3 minutes. Turn pancakes over and cook until bottoms are brown and pancakes are barely firm to touch. Transfer to a cookie sheet, uncovered and place in warmed oven. Repeat with remaining batter, adding more butter to griddle as needed. Serve your gluten free pancakes with butter and lots of REAL maple syrup! YUMMMMM!! !